Electronic alert devices warn deer, moose, pets, and other animals of your approaching vehicle from up to 1,500 feet away. This model is the only portable magnetic mount unit with a car power adapter. This patent-pending system is the only portable deer whistle on the market that you can install in seconds rather than hours. The following provides comparison information of animal alert product capability. These are the only devices we found that are proven effective in warning animals at any speed. The device primary function is to avoid a crash. Ease of Use Turn the switch on in high risk areas and open roads Flashing the headlights high beam twice will power the device ON in high risk areas and open roads Turn ON or OFF at any time by flashing the headlight high beam twice (#2200) or by using the dashmount switch (#M2300) Plug the device in the cigar lighter for power in high risk areas and open roads. Easy to move from vehicle to vehicle. Our testing found that this device is not effective for warning animals. The device does not make animals react as other units tested because the device does not make an audible noise. We have found that only the devices with an audible noise that humans can hear are effective with warning animals. 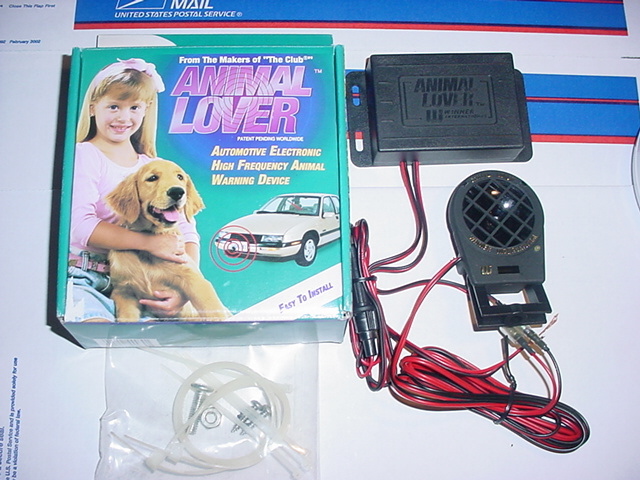 The Animal Alert has a LED "On" indicator and the device is connected to the vehicle battery yet automatically turns on and off with the vehicle ignition. The Animal Alert noise actuator is also very fragile. Slow down! Deer crossing. It's a warning to be heeded this time of year. Deer are on the move during late fall and early winter, either because it's hunting season or because they are seeking a mate. Deer kill more people and are responsible for more property damage than any other animal in the United States. Every year there are more than 1.5 million reports of automobile collision with deer. This staggering number accounts for more than a billion dollars in insurance claims annually. With the correct technology of deer whistle deer avoidance systems, used with driver awareness, will reduce your risk of hazardous animal/vehicle collision by more than 70%. 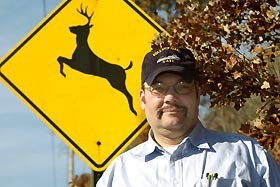 On the highways and byways across North America, nearly 750,000 collisions occur each year between deer and vehicles. Efforts to reduce that number have spun off a multi-million-dollar industry: deer whistles. Peter Scheifele, director of bioacoustics research at the National Undersea Research Center, conducted a scientific study of deer whistles. Photo by Shannon McAvoy Scheifele, an animal bioacoustics and audiology expert, wanted to know more about the devices, so he and his research team scientifically tested their effectiveness. The small plastic whistles, easily attached to car bumpers, hit the marketplace several years ago. Some are sold for as little as five dollars. They vary in design, but their claims are relatively the same. Their manufacturers promote them as "acoustic attention-getters", alleging deer would react to the whistle by remaining still. "There has been a lot of conjecture about whether the whistles work or don't work, and we are one of the first independent groups to scientifically test them," says Scheifele, director of bioacoustic research at the National Undersea Research Center at Avery Point and a researcher in the Department of Animal Science. He and his team tested six air-fed whistles in the laboratory and in the field. The study's goal was to determine the actual frequencies generated by the whistles and the intensity at which they are produced, compare that data to the hearing abilities of deer, and then take the animal's acoustic behavior into consideration. 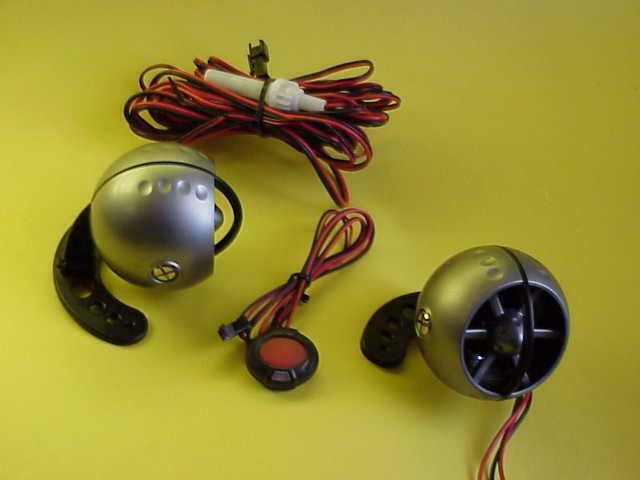 Following the directions on each package, the team mounted the devices onto a car's front bumper. Using a road closed to the public, they drove the car at speeds ranging from 30 to 45 miles per hour while recording sound and data. "We tested them strictly from an acoustical point of view," explains Scheifele. He found that the whistles typically produce a signal either at a frequency of 3 kilohertz (kHz) or 12 kHz. Both, as it turns out, are problematic. The hearing range of white-tailed deer, the most common species in the United States, is between 2 kHz and 6 kHz, so the animal is not capable of hearing the 12 kHz signal. Although deer may be able to hear the 3 kHz signal, it is only 3 decibels louder than the road noise created by the car, so the signal is buried. Scheifele points out that the situation would be worse with additional traffic in the area or if the wind was blowing. "All in all, the air-fed whistles do not make sense to me acoustically, " states Scheifele. Since completing the study, a new electronic whistle has been put on the market. Although Scheifele has not had an opportunity to test it, he has examined its advertising claims. He says the specs for the electronic whistle are considerably different from those of the air-fed devices, so "there is a possibility that the electronic whistle is more effective than the air-fed devices." He has written a paper on his findings and submitted it to the Acoustical Society of America's Acoustics Research Letters Online where it will shortly be under review. So what is different about the Electronic Deer Whistle Deer Alert unit? The electronic Deer Whistle is engineered to produce both a sonic frequency (heard by humans and larger animals like deer and elk) and ultrasonic frequency (beyond the range of human hearing but heard by smaller animals) to alert animals of your vehicles presence. The Electronic Deer Whistle, (AA Portable Deer Alert, Design Tech Deer Alert, Hornet) have an effective range of 1,500 feet and is proven effective to work at any speed. The sound the Electronic Deer Whistles makes does not “scare” the deer or other animals out off the road but rather make them aware that something is approaching. The comparison is very similar to a train’s whistle. People are not instinctively afraid of trains or a train’s whistles but the whistle acts as an advanced warning that a train (possible danger) is approaching. People take notice and start watching for the approaching trains as the whistle grows loader. Deer can hear these warning tones from great distances. As the vehicle approaches the sound from the Deer Alert grows louder and the deer will take notice of the approaching vehicle well before it would have heard the vehicle, reducing the chance that the deer will be startled by the vehicle and less likely to jump or run in front of the passing vehicle. The revolutionary new design incorporated in the Electronic Deer Whistle, Deer Alert unit ensures a tremendously effective device, which works with or without and maintenance to keep vehicle and it occupants safe from many of today’s road hazards. If you have a question you can send us an E-mail, we will promptly respond. If you prefer to relay your question by phone please don't hesitate to call us toll free 1-800-291-5586 or 1-317-219-0366.